“To the Fore” is the pursuit of F-Series for speed. The T-Motor F-Series F80 1900KV motors are designed for pilots to challenge the speed limit to the fullest. A speed of 250km/h will no longer be a dream if matched with the suitable propellers. Enjoying the Fast & Furious flying. 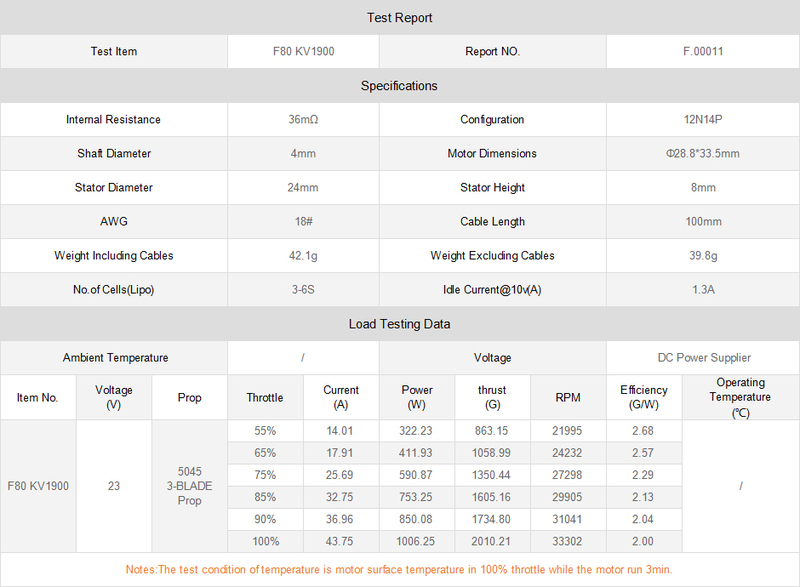 “Flexibility and Quickness” response are the key features of F-Series motors; Impact resistance and long service life are the essence of them; Exquisite technical workmanship and novel design are the creams of them. 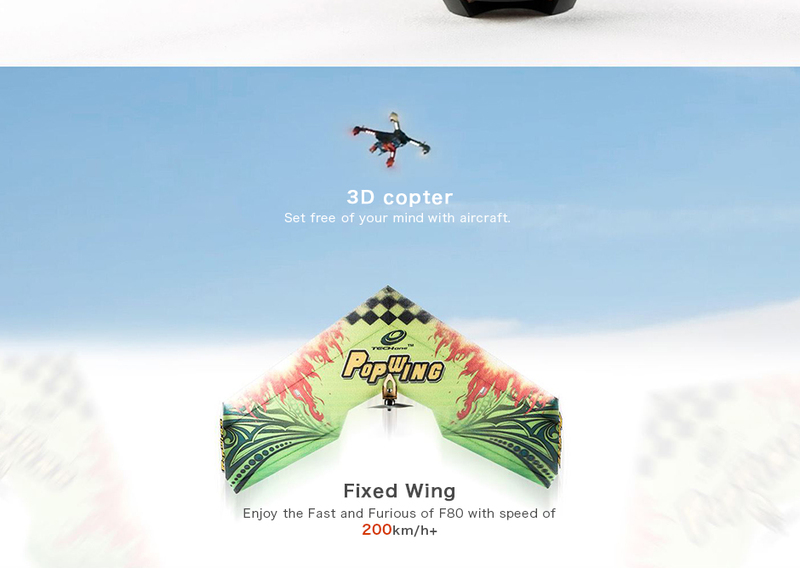 F-Series are born for FPV Racing, crazy about speed. 1. With the adoption of steel shaft, no prop adapter bends any more. 2. With the unique structure design, no deformation from impact. 3. Neoteric way of heat dissipation, which reduce 15% more heat than others. 4. Adoption of new method of bearing installation prolongs the bearing life span to over 5 times. 5. Employment of Germany bearing that rotates at high speed enables the violent output of motors. 6. Employment of patented technology features motors by fast response. 7. Embedded base design gets rid of the possible fail of snap spring, which makes the motor work safely and reliably, and suit the requirements of various kinds of rack. 8. Safe design of the bolt hole at the bottom which gets rid of the short out resulting from damage of motor coil when mounting screws.